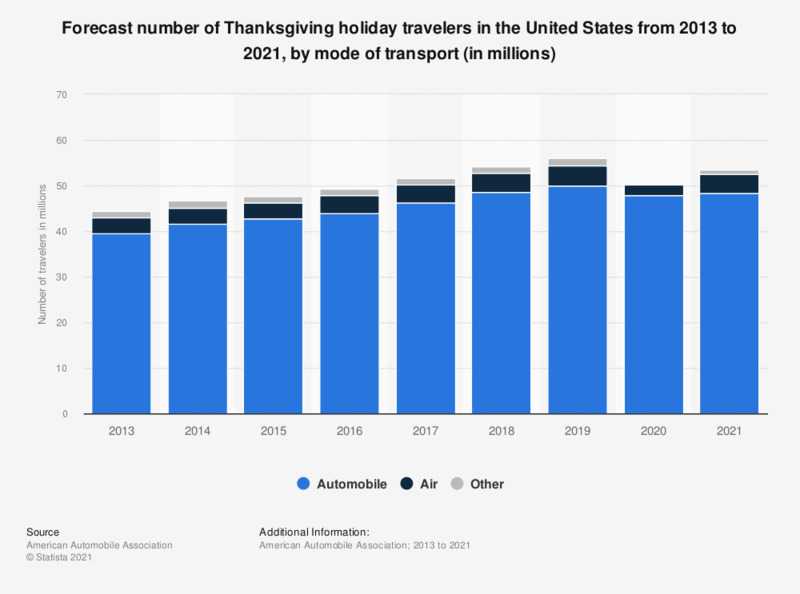 This statistic shows the number of Thanksgiving holiday travelers in the United States from 2013 to 2018, by mode of transport. In 2018, the number of people traveling by automobile over the Thanksgiving holiday period is forecast to amount to 48.5 million. * Thanksgiving holiday travel is defined by the source as round-trips of 50 miles or more away from home during the period from November 21 to November 25. Has your travel behavior changed in the last three years and if so, how?